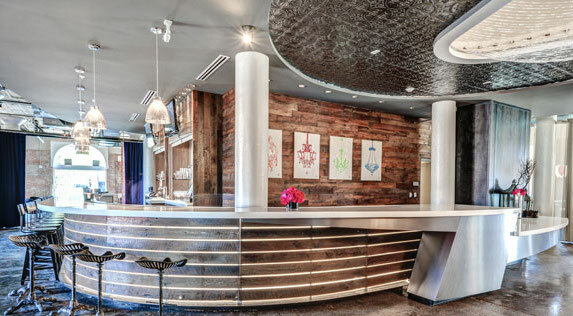 It’s not surprising that boutique hotels have risen in popularity over the last few years. These spots offer unique environments, quirky design, and an edgy atmosphere you just don’t usually get on a corporate level. However, while these little gems can make a trip truly unforgettable, they can also get a bit pricey at times. 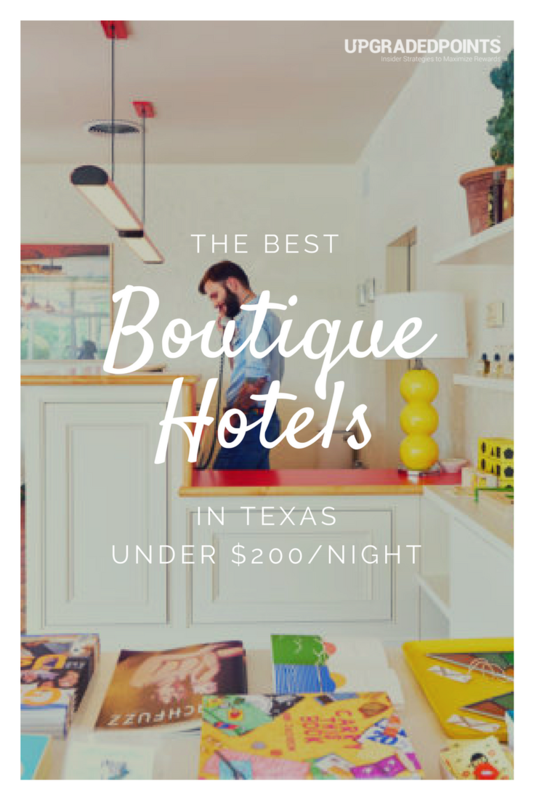 That’s why we’re bringing you 13 great boutique hotels in Texas that all have rooms under $200/night. Lastly, while boutique hotels won’t likely earn you points toward a corporate loyalty program, you can absolutely earn 2x or even 3x points if you pay with the right travel rewards credit card, such as the Chase Sapphire Preferred® or the Chase Sapphire Reserve®. The Austin Motel has been a SoCo neighborhood staple for years (almost 70 to be exact). From the capital’s small-town history to a booming tech city and all the phases in between, Austin Motel has stood privy to it all. 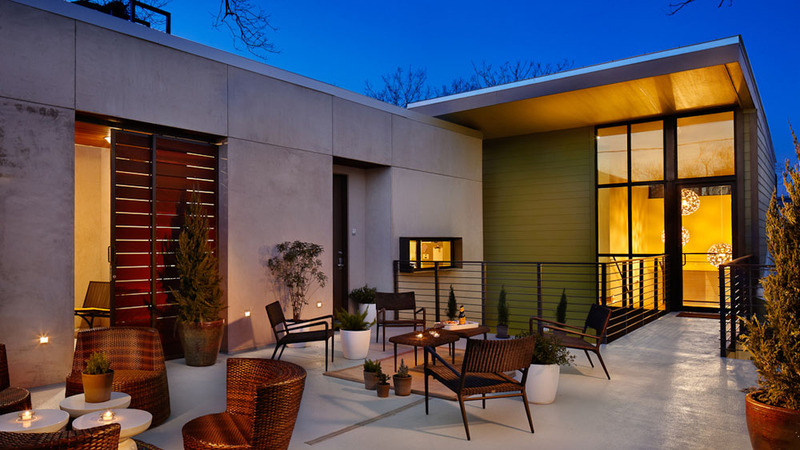 This bright, eclectic, and modern spot has all the charm you’d expect from ATX…without the elevated price tag. 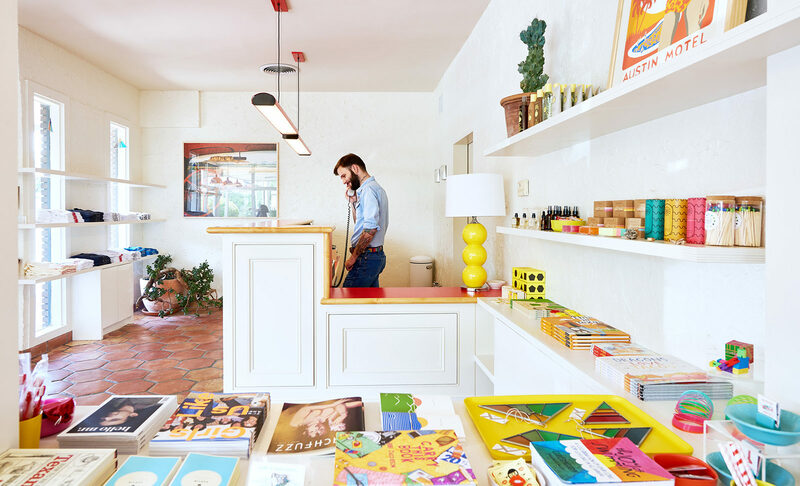 Plus, it’s got a great little pool and artsy shop in the lobby (so Austin!). Additionally, access to restaurants, shops, and nightlife couldn’t get any easier — it’s all within walking distance since this spot sits right on South Congress. This east Austin hotel has all the ATX vibes you’re longing for. Its bright, modern design has an authentically trendy feel, and its east side location only adds fuel to the fire. From nearby breakfast taco spots and retro restaurants to craft cocktail dens and everything in between, you’re certainly in good local company. With only 7 rooms, this great property keeps an intimate and inviting atmosphere — one you’ll want to return to over and over again. The Heywood Hotel inches in just under $200 a night, but it’s well worth it. Lone Star Court at The Domain is just a quick 20-minute drive north of downtown Austin. Combining a retro aesthetic with a modern twist, this quirky hotel has much to offer. 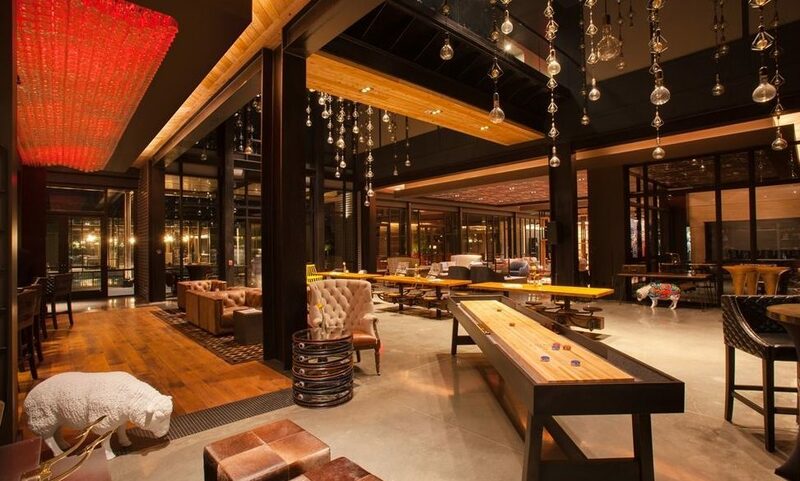 They incorporate a uniquely Austin/Hill Country feel including outdoor lounge areas with fire-pits, a restaurant & bar, swimming pool, and even live music. Since it’s located just a couple minutes’ walk from the tons of shops, restaurants, and activities of The Domain, there’s plenty to keep you busy even if you don’t feel like heading into the city. 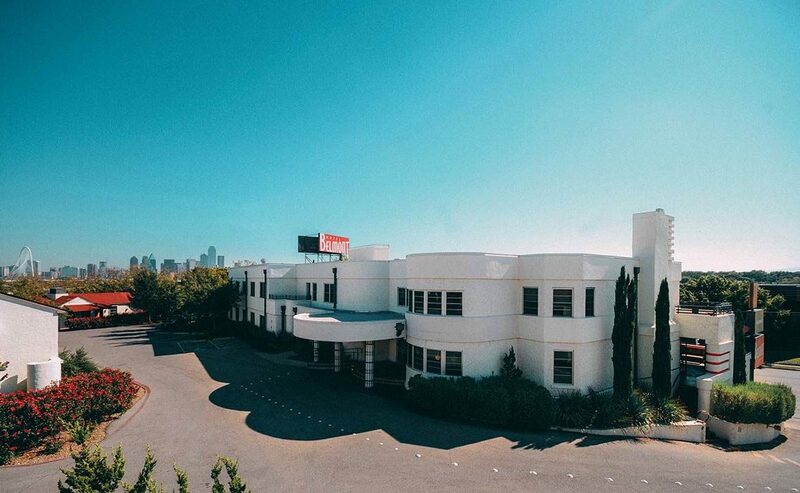 The Belmont Hotel lies just 10 minutes outside of Dallas in the contemporary Oak Cliff neighborhood. Incorporating art, music, food, and design, the creative culture invigorating The Belmont is palpable. While you could head into Dallas proper, you’ll have plenty to keep you entertained on-site. A curated contemporary art collection, programmed music series, lobby bar, and neighboring BBQ restaurant SMOKE are all on hand to provide entertainment in a laid-back atmosphere. Additionally, you’re minutes away from the vibrant Bishop Arts District, which is another hip place to explore. While technically a small chain of hotels, there’s nothing cookie cutter about NYLO Dallas Southside. These loft-style rooms and suites are quick to charm with modern furnishings, tall ceilings, exposed concrete, and brick. NYLO boasts a “really, really comfortable bed,” and their bathrooms include spa rain showers. The rooftop pool with downtown skyline views is open until sundown when the accompanying bar starts to heat up. As for location, it’s a quick walk to the nearby farmers market and movie theatre, and just a short ride to Downtown, Deep Ellum, and the Design District. 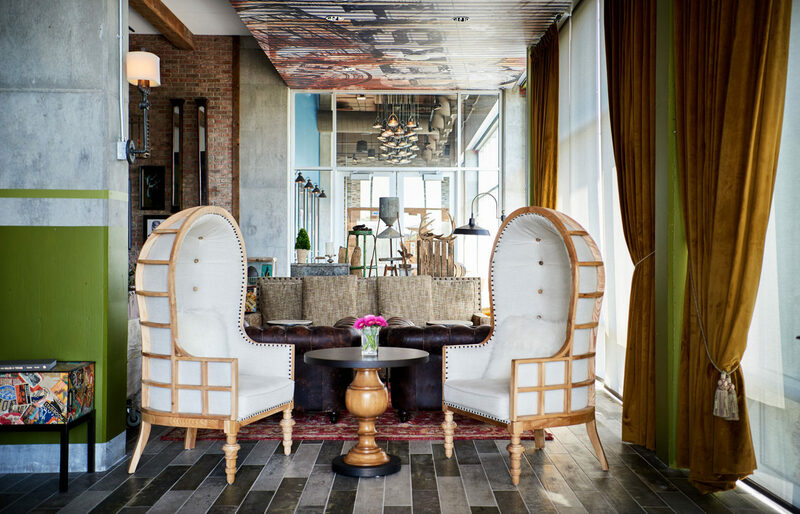 This gorgeous little hotel in San Antonio has quite the boho vibe. 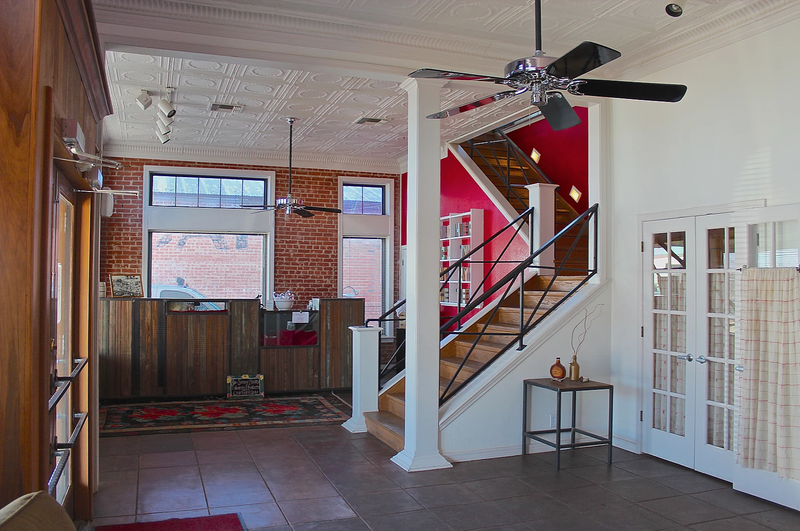 The rooms have an airy design aesthetic with high ceilings, plenty of natural light, and Bastrop Pine floors. Add in pops of color from Moroccan rugs, throw pillows, retro appliances, armchairs, and painted bedframes, and it’s enough to make anyone swoon! Hotel Havana overlooks a portion of the Riverwalk but remains away from the touristy crowds while providing a location that’s walkable (or a quick Uber) to many restaurants and activities. 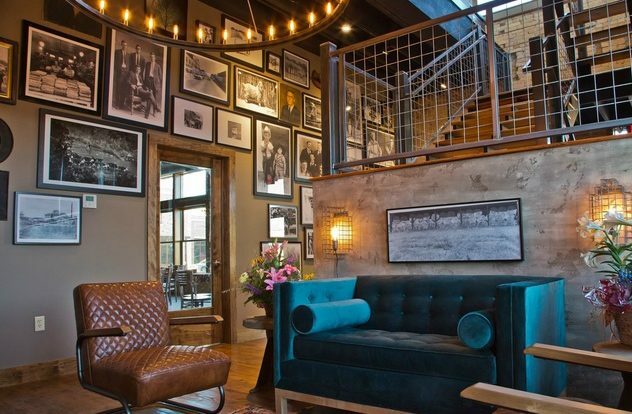 The Stella Hotel is a new fixture in Bryan/College Station. 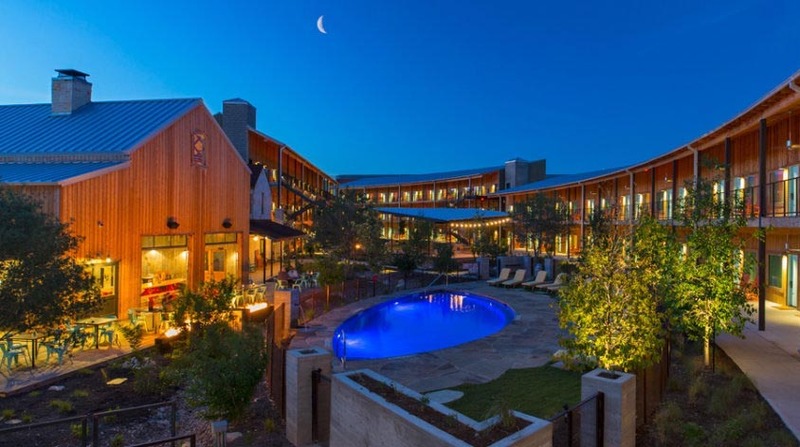 Having recently opened in April 2017, this boutique spot boasts the blending of “music, art, design, and service to handcraft a genuine Texas experience.” It’s got 2 swimming pools (plus a pool bar), summer concerts on the lawn, and 20,000 square feet of meeting/event space. What’s more, The Stella Hotel offers a number of food and drink options right on site. These include the cafe-style POV, “farm-to-fork” eatery Campfire, and Hershel’s with craft cocktails and small bites. It’s easy to see why The Stella has become an increasingly popular boutique option in Bryan. The George prides itself on a sophisticated atmosphere and distinctive hospitality services. 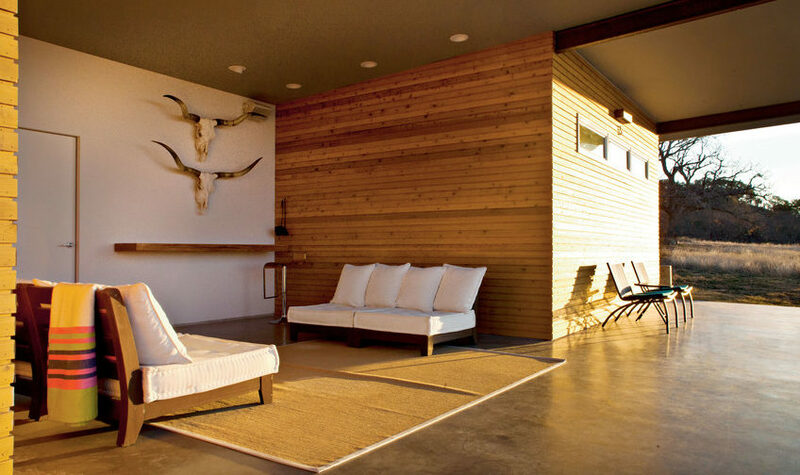 The feel here is part industrial, part modern, and completely Texan. 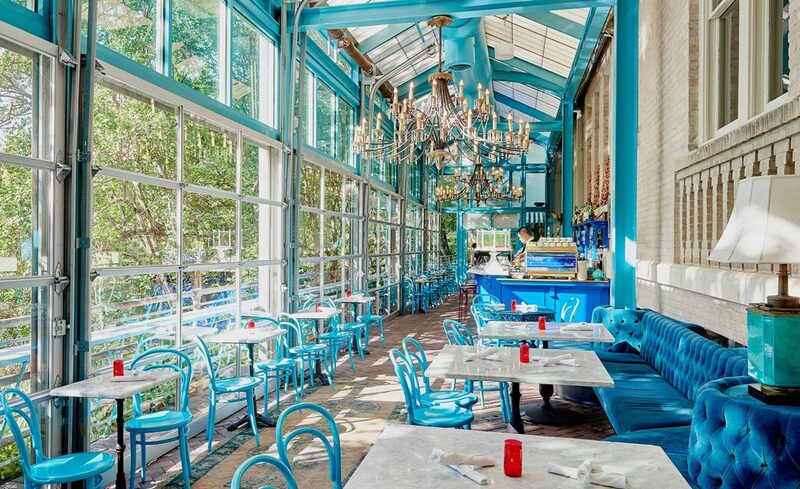 The George’s restaurant Poppy provides their take on “Modern Culinary Texas regionalism.” Patrons can enjoy a seasonal menu in the pavilion or take in some live music while dining on the large porch overlooking Century Square’s outdoor plaza. For craft cocktail lovers, there’s also 1971, a whiskey bar dedicated to the spirit of the people. Whether you’re in College Station for a visit to Texas A&M University or just passing through, The George is an elegant yet comfortable spot to rest and recoup. The Dofflemeyer Hotel in San Saba is a unique little spot with a southern industrial design. Originally built as a bank in 1913, the restored space has a wonderfully historic feel while incorporating contemporary elements for comfort and style. The first floor of the building houses the lobby as well as a small family-owned cafe serving gourmet coffee, light bites (think soup and sandwiches), homemade candies, and ice cream. The rooms on the second floor utilize a keypad entry. The main drawback reported from patrons here is the noise, so if you’re a light sleeper, prepare accordingly. El Cosmico isn’t a traditional “hotel” per se, but no one can argue that this spot is 100% boutique in its originality. 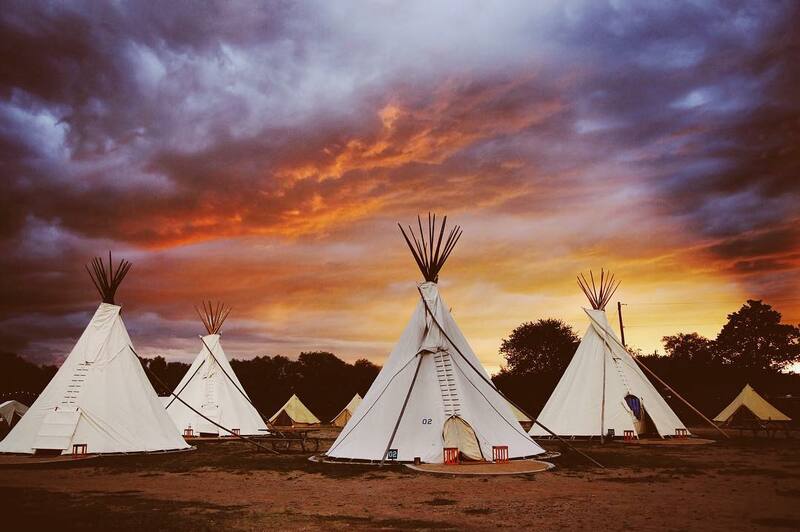 Set on 18 acres in West Texas, this property’s unique accommodations include vintage trailers, Sioux tepees, safari tents, and a yurt (plus a self-camp site). With it’s dolce far niente attitude, you’re invited to “tune in, drop out and be here now” by enjoying the gentle breeze while you swing in the hammock grove, nap in the warmth of the afternoon sun, or simply relax on the porch of your yurt sipping a cup of coffee. El Cosmico lies just outside the intriguing paradox that is Marfa, TX — a tiny southwest town and international art mecca. El Cosmico is also the site of the annual Trans-Pecos Festival of Music & Love. This historic space combines a country farmhouse aesthetic with exposed brick and a southwestern influence. 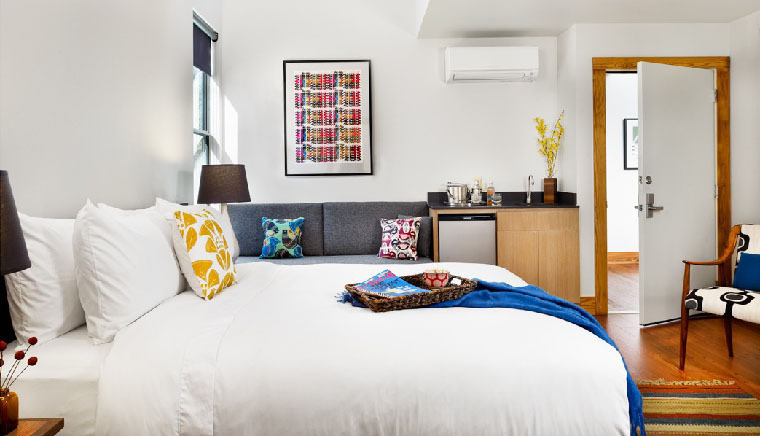 While it may not have a coherent design theme, The Spur Hotel’s rooms are meant to be simple, quiet and peaceful.” And they are — you won’t find an in-room telephone or TV here. While there’s no true lobby with around-the-clock staff, this hotel receives rave reviews about the kind and accommodating management. Archer City is the home of novelist/screenwriter Larry McMurtry (Brokeback Mountain, Lonesome Dove, The Last Picture Show) who grew up just outside of town, and the area greatly influenced his respected works. 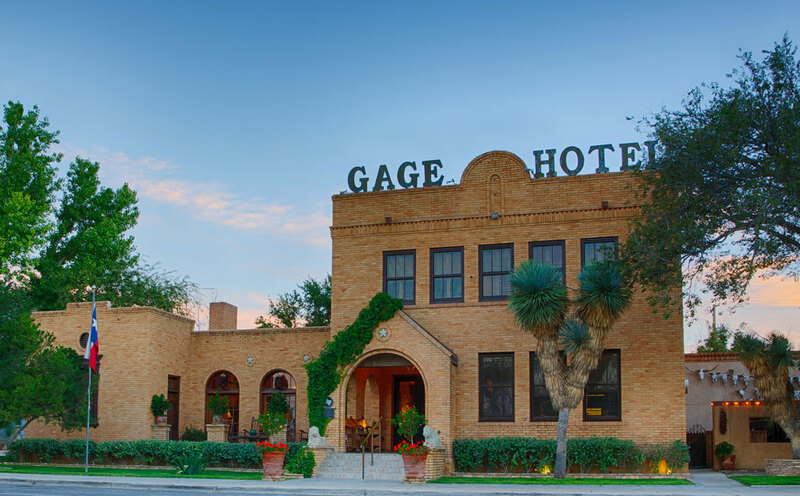 The Gage Hotel in quintessential Marathon has a true West Texas vibe that invites you to “reflect, recharge and reconnect.” The charming property includes 15 rooms in the recently restored mission-style hotel and 20 pueblo-style adobe brick rooms with a gorgeous courtyard. The Gage proudly notes this area of Texas is steeped in a rich history, blending many cultures including the North American Indian, Spanish, Mexican, and Anglo Cowboys — truly a place where Big Sky Country comes to life. Situated just minutes from local shops and eateries, it’s also a prime location to embark on day excursions to Big Bend National Park. Set on 300 acres about 2.5 hours southwest of Fort Worth, Rancho Loma is a beacon luring patrons away from the big city hustle-bustle. Here on this relaxed landscape, husband and wife duo Robert and Laurie Williamson have built something extraordinary. Their “Restaurant + Rest” is billed as a fine dining and boutique hotel experience, which also incorporates a small vineyard. From the simple, modern accommodations to the mouthwatering seasonal menu, Rancho Loma provides a warm and intimate atmosphere. If you have a chance to visit, don’t miss it — it’s been wildly applauded as a unique and altogether unforgettable stay. Which boutique accommodation would you most like to visit? Did we miss a favorite of yours that comes in under $200/night? Let us know! *Featured image courtesy of heywoodhotel.com. Like these boutique hotel ideas? Pin it on Pinterest!